TEDxSeattle speakers who have brought innovation to the fields of business and medicine, through non-standard approaches, will share how they did it during this mid-week evening discussion. 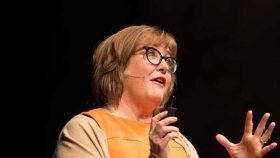 Maura O’Neill, the former Chief of Innovation for the U.S. Agency for International Development (a role she developed in the Obama administration) is a serial entrepreneur, instructor, and researcher on the topic of “narrow-mindedness” and its effect on science, medicine, business, and government. 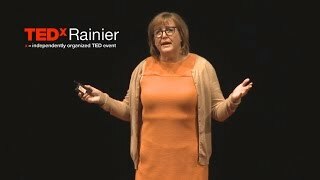 She was also a featured speaker at TEDxRainier in 2015. That presentation is linked, below. 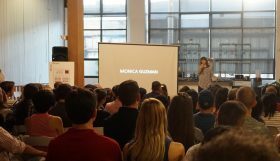 Mónica Guzmán is a journalist reinventing media as a way for Seattleites to better connect. She is also the co-founder and director of The Evergrey, a new community media newsletter and platform that helps us, “Live like you live here.” Prior to The Evergrey, Mónica was a columnist at the Seattle Times, GeekWire, The Daily Beast the the Columbia Journalism Review. Mavis Tsai is a UW research scientist and clinical psychologist, and the founder of a new movement to increase deep social connections. This movement is spreading through cities on a global scale, led by facilitators whom she trains on learnings based on her research. 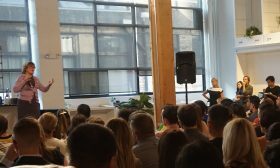 Her work creates more accessible ways to provide meaningful connections at an affordable scale for all people, worldwide. For a sneak peek, you can also check out her previous talk at TEDxEverett. When you purchase a ticket, you can expect an interesting and interactive discussion of thought leadership and innovation. Doors open at 5:30 for socializing and light refreshments. Program runs from 6:00 PM until 8:00 PM.